I had an excellent half-morning workout at the farm just now. Top on the agenda was to thin the Lengkuas shrub for propagation purpose. Indeed from two big shrubs I managed to plant another 5 very well established clumps. 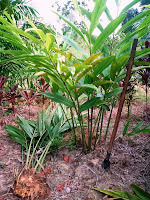 Lengkuas ( Alpinia galanga) are useful plant to grow for its rhizomes. 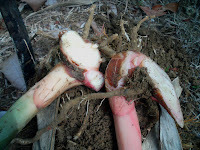 In traditional medicine the rhizomes are considered a aphrodisiac. However I take it as an appetiser and the young shoots can be taken as salad. And goes without saying, you need to eat it with the famed Bintulu belacan!. There are also grown commercially for the rhizomes that are processed into capsules to counter sea sickness. Then while I was thinning a section of the vegetation island of the Heliconia Valley I came across a unique phenomena. My eyes were caught by a slight movement among the leaves of the Cempedak ( Artocarpus integer). 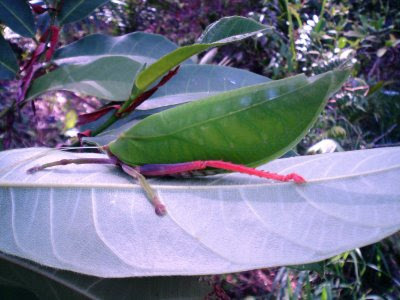 A grasshopper in camouflage. 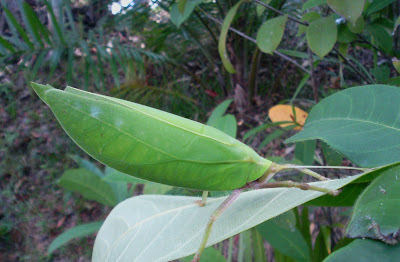 Yes this is the first time I came across at the farm a grasshopper that has its wings resembling the Cempedak leaves. Thus I had a field day photographing this unique natural phenomena. 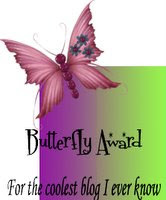 Below is the grasshopper posing for today's show. Well, what you see is what you get. No tricks. It's a grasshopper in the Emperor's clothes. Note the rhizomes of the Lengkuas ( inset).